A video has surfaced online purportedly showing eight Syrian rebels accidentally triggering a bomb while taking a selfie. 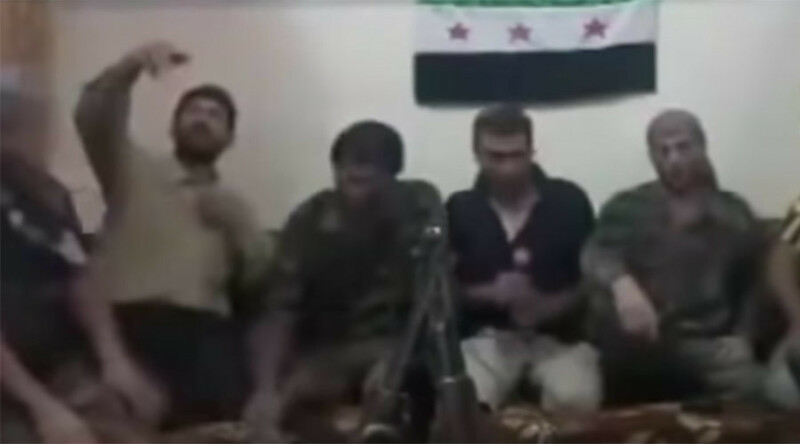 The men, reportedly members of the Free Syrian Army, are seen gathered around a camera with rifles visible, recording what’s thought to be a propaganda video. One of the men to the left holds a cellphone in the air to take a selfie. As the camera clicks, however, it seems the phone is apparently rigged to an improvised explosive device in the room causing an explosion, according to Funker530, the website which originally uploaded the video. this is your average terrosist folks. do you really think these people would be capable of anything if they didn’t have some competent force guiding their every move? muslim extremism was created by western intelligence agencies to use as a guerilla tool to fight enemies that they couldn’t declare war on openly. these people are literally so stupid they can be easily told what to do and what to believe. If you were going to adopt a dog from the pound and you knew one of them would try to kill &/ or harm you; not knowing which one was dangerous, would you still adopt one of them?